What in the %! *# Weather? I had to take these screen shots yesterday when I glanced outside and saw SNOW FLAKES! What the bleep is going on, end of April? And then let’s compare this to a few places I would like to be instead! Beirut, Lebanon – with plenty of sunscreen! 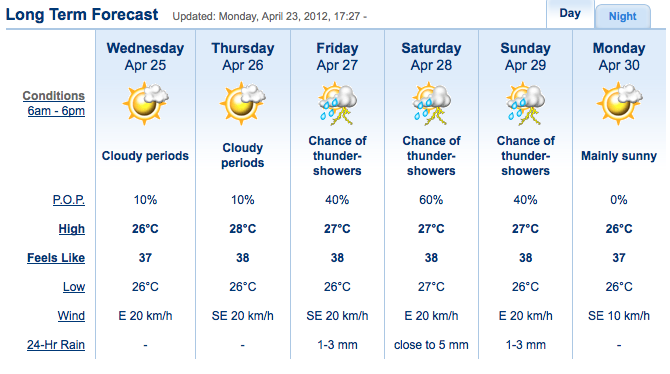 Come on Toronto, smarten up and take a page from the book of these countries (aka screenshot from The Weather Network). This entry was posted in Nature, Travel and tagged australia, Austria, Christmas Island, snow, summer, sun, Toronto, Vienna, weather by ghostbear. Bookmark the permalink. It has been a strange winter/spring….Spring? We just scraped by in Michigan with this latest blast. I was born and raised across the lake from you in Rochester, NY. My relatives are still there….and I saw they got clobbered too, yesterday. We lucked out and our temps have remained in the 50’s-60’s F. But with this year…who knows what’s next? Many of our trees and flowering shrubs that bloomed early with March’s summer temps, have now suffered from frosts and freezing temps and may be damaged. Michigan’s cherry and other fruit crops along Lake Michigan are damaged beyond help. So now fruit prices will soar. 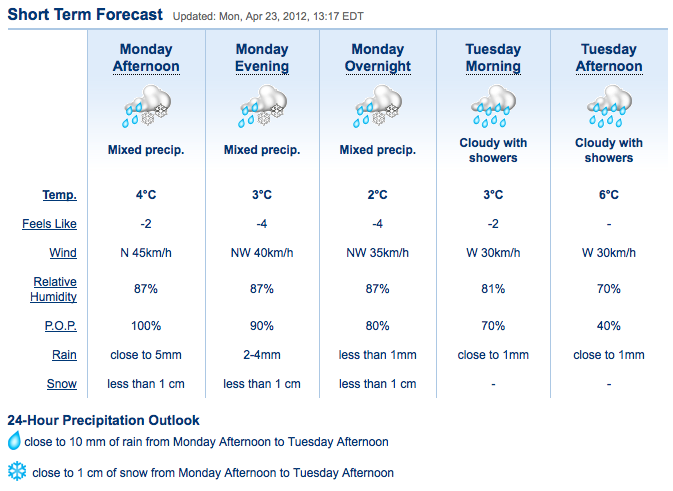 ugh…we are paying for those delightful, warm March days. I hope Toronto catches up soon. Yikes – I know. I loved being on March Break (I’m a teacher) and enjoying the unseasonably gorgeous weather. Today’s weather is a bit better. 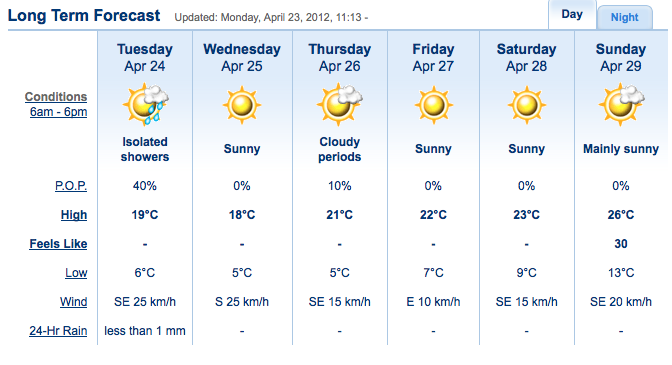 At least it’s sunny…I am just going to suffer through this week and look forward to the improving weather next week. The trees and flowers look like they mostly survived this mini-disaster! So we know well how important spring breaks are! Glad your weather is looking up!